Cast: Jane Fonda, Gregory Peck, Jimmy Smits, Patricio Contreras, Jenny Gago and Pedro Armendariz, Jr.
News of Madero’s murder led Villa to return to guerrilla warfare against Huerta. Zapata had never actually stopped fighting since Madero had refused to approve large-scale land reform, but Huerta was confident he could handle both of them. The situation worsened when Venustio Carranza, governor of Coahuila, assumed leadership of the revolution. Despite Huerta’s contempt, Villa had built up a professional army, while Zapata had become a skilled guerrilla, who organized rebellions in several states. Huerta should have realized that his time was up when the Americans occupied Vera Cruz to avenge a minor diplomatic insult, and none of his opponents heeded his call to unite against the foreigners. Huerta would have been overthrown sooner but Carranza resented Villa’s insistence on autonomy, and gave more resources to Alvaro Obregon, a more loyal general. Huerta resigned on July 15, 1914 and fled to exile in Barcelona, Spain. Carranza thought that he was the natural choice for president, but Villa and Zapata had the two largest armies in Mexico, and they both detested Carranza. Too independent to work together, their sole accomplishment was to deny Carranza the presidential chair. Carranza on his own was no match for either Villa or Zapata but Obregon still nursed a grudge from when Villa had tried to execute him. Since Zapata had little interest in events outside of Morelos, Villa was left to face Obregon alone. Several battles later, Villa had been exposed as simply a charismatic cavalry leader, and when he limped back to Chihuahua, he no longer had the largest army in Mexico. Angered by President Woodrow Wilson’s increasingly blatant support for Carranza, Villa raided Colombus, New Mexico in March 1916. A Punitive Expedition of 10,000 men was sent into Mexico, but it was a great embarrassment to everyone involved that Villa had not only eluded capture but had become a hero. During a ceremony to celebrate the publication of his collected works, famous author Ambrose Bierce (Gregory Peck) expresses contempt for his fans, who only appreciated the style of his writing, not the message. Harriet Winslow (Jane Fonda) is a school teacher who accepts a position as governess with a rich Mexican family in Chihuahua, Mexico in order to break free of her repressed life. 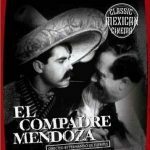 The two Americans both arrive in Chihuahua City to find that Pancho Villa (Pedro Armendariz, Jr.) has captured the city and declared rich families enemies of the revolution. Winslow has been hired by one of those families, the Mirandas, whose hacienda is besieged by the Villistas (followers of Villa), and she is unknowingly used by Villista general Tomas Arroyo (Jimmy Smits) to help capture the hacienda. Now that the hacienda is in the hands of the revolutionaries, the troops are supposed to rejoin Villa’s army but Arroyo remains to find the deeds that prove that the peasants, not the Mirandas, own the land. Oblivious to the growing frustration among the rest of the Villistas, who are eager to return to the revolution, Winslow and Arroyo fall in love. The longer Arroyo stays in the hacienda, the more he becomes like the Mirandas, until Bierce risks his life to shock Arroyo back to sanity, but it is too late and Villa himself must resolve the situation. Although set in the Mexican Revolution, the movie does not really deal with the Mexican Revolution. 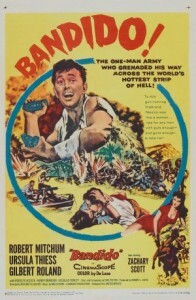 The early scenes are misleading since the Mirandas’ hacienda is captured after a large-scale battle where the Villistas even use a locomotive as a battering ram to break through the hacienda’s defences, which was a surprisingly common technique. The viewer understandably thinks that the film will be an epic, but it suddenly becomes an intimate character study, and the characters then remain in the hacienda for the rest of the movie, ignoring the revolution while they deal with their personal issues. In fact, no one explains what caused the revolution or who is fighting who. It is simply the Revolution. An American reporter who might have provided some background has two brief appearances and then vanishes from the film. Furthermore, Arroyo’s deep worship of the land is an integral part of the plot, but the almost mystical reverence for land fits the Zapatistas, not the Villistas. The Zapatistas were guerrillas recruited from farming villages in southern Mexico, a predominantly rural region where the haciendas had encroached into the traditional lands of villages for generations. Expanding at the expense of the villages, the continued growth of the haciendas threatened the survival of the villages, so the Zapatistas fought for land, and land only. The Villistas were based in northern Mexico where there were more ranches and industry, therefore Villa had a professional army and focused on political and educational reforms, rather than a revolutionary re-distribution of land that threatened to destroy the economy. However, the portrayal of life in the haciendas where people grew up mired in poverty with no chance of escape is accurate. Many hacendados (owners of haciendas) did treat the women of the hacienda, married or not, as their personal harem. Recognizing the pent-up hatred, Villa would attract recruits by capturing a hacienda, hanging the administrator and opening the stores to the people. 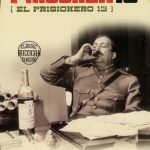 While Villa was ruthless and did not hesitate to have contradictory subordinates executed, he would have had one of his intellectuals handle the paperwork, and his pet executioner, Rodolfo Fierro, would have performed the killing. If it appears that Villa was too submissive to the United States, it is because he was. Since survival depended on access to weapons and supplies from the other side of the border, Villa made strong relations with the United States a priority, going so far as to have a Villista chieftain executed for killing an American. Ambrose Bierce had left the United States in December 1913 and traveled to Mexico, where he is known to have accompanied Pancho Villa’s army for a period of time. While in Mexico, he wrote a letter to a friend that stated: ‘If you should hear of my being stood up against a Mexican stone wall and shot to rags, please know that I think that it is a pretty good way to depart this life. It beats old age, disease or falling down the cellar stairs. To be a gringo in Mexico-ah, that is euthanasia.’ Bierce was seventy-one-years-old and sick, which explains his desire to be shot rather than die of illness and old age. There is no record of Bierce’s death, he simply disappeared. In fact, scholars debate whether he died in the fighting or was executed, so the script is free to make the screen Bierce brave, almost foolhardy, as he repeatedly attempts to provoke Villistas into killing him. Both Bierce and Arroyo fall for Winslow, so the general and the old writer are basically competing to take the spinster’s virginity. Admittedly, the dialogue between the three leads is well-written but their stories force the revolution into the background. It is unlikely that so many Mexicans spoke English at that time but it is necessary since two of the three leads are English-speakers. However, the movie deserves credit since all of the actors, aside from the three leads, are Mexican, and they all speak Spanish to each other. Jimmy Smits is believable as the obsessed revolutionary with serious daddy issues, but Pedro Armendariz Jr. does not capture Villa’s panther-like movements and the restless eyes of a man who never lost the paranoid, hunted fear of a bandit. Gregory Peck’s Ambrose Bierce is overly wordy but fun to watch, and even better when he lets his body, not his mouth, do the talking. Peck had stepped in several weeks before shooting started when Burt Lancaster, the original actor scheduled to play Bierce, was unable get an insurance bond because his heart was too weak to handle working in Mexico’s high altitudes. Having previously considered trying to film the novel on his own, Peck agreed as soon as he received the offer. Jane Fonda knew the author Carlos Fuentes when he was writing the book, so the character of Harriet Winslow was tailored to fit Fonda. The movie has an excellent beginning but stalls when it lingers too long in the hacienda. A dance scene lasts as long as the scene of the capture of the hacienda. My initial reaction was that a bit of editing could have greatly improved the movie, but the real problem was the decision to tell a story about a revolutionary leader who becomes what he fought against, rather than take the opportunity to examine the Mexican Revolution from the viewpoint of an outsider. The script needed to be completely rewritten to transform it from a work of art that happens to deal with the revolution into an actual movie on the revolution. Aside from the script’s structural issues, the two American characters play too big a role. Bierce’s attempt to shock Arroyo back to sanity is well-intentioned, but all of the Mexican actors are confined to two-dimensional supporting roles. The focus on the three leads at the expense of the supporting actors was probably fallout caused by Sony’s purchase of Columbia. The top management was changed, and the new executives had little confidence in a movie about the Mexican Revolution, therefore the length of the movie was shortened. Filmed on an abandoned hacienda that had been renovated for the movie, the period detail is amazing. Given the sumptuous set, it is understandable that the director wanted to stay in the hacienda as long as possible. In the end, Winslow goes home a different woman, who tells herself that she will never forget the writer and the general. It is a sweet sentiment, but it symbolizes the problem with the movie. Winslow will remember the two men who loved her, not the Mexican Revolution, which apparently was less important than dealing with the shame that her father had abandoned her and her mother. A vanity project for Jane Fonda, who starred and produced, it is a jarring mix of epic and intimate stories that never comes together as a whole. Parts of the film are superb, but the script does not live up to the stunning images.